A recent study by JWT, India titled “18.3 and Under, The Changing Mosaic of South India” led by Navonil Chatterjee (Vice President & Executive Planning Director, JWT) breaks some of the deep rooted myths about Southern India and highlights the untapped potential of India’s southern states - Karnataka, Kerala, Tamil Nadu and Andhra Pradesh. The report title “18.3 and Under” is a name inspired by Southern India’s northernmost tip called Srikakulam. According to Bindu Sethi, Chief strategy officer, JWT, no longer is it enough to insert a south Indian family in your campaign to make it 'work' for the southern market. Marketers must truly understand that there's more to the south than idli, dosa and IIT. These South Indian states not only have average literacy rates of 73% while the national average rests at a modest 60% but are also home to top 10 Indian cities by GDP. The study conducively presents 9 themes that marketers and brands should look at to connect with South India. 1. PROUDLY SOUTH - National brands ought to tap into this 'South-proud' sentiment and avoid 'language adaptation'. Portraying South Indians as world beaters, acknowledging and rewarding Southern excellence in relevant fields, depicting one-upmanship over North, choosing Southern celebrities as national brand ambassadors, etc. are some of the ways for brands to resonate with South India. 2. TRENDING TRADITIONS - Brands can connect by giving a contemporary twist to established South Indian traditions or by providing digestible capsules of tradition and taking the tedium out of traditions. Southern brands can do this to revamp their brand imagery and appear in sync with times, while national brands can adopt this fusion to demonstrate their understanding of the South and their desire to connect with it. 3. THE SQ ICING - Brands can be positioned and sold on looks, style and aesthetics as well. Also the stereotypes are to be avoided: An ad for a brand in the North features the model in western clothes while its Southern version features the model with Jasmine-in-hair and as a saree clad mami. 4. CELEBRATING COOLAVERI - Southern Chic today is a wave that spans across art, fashion, entertainment, apparel, etc. and could provide a great opportunity for lifestyle brands. At its best, it will help brands to make the statement that South is the New Cool. 5. BOLD EXPERIMENTATION - The region is a hot-bed of experimentation across disciplines. Brands should highlight the risk-taking face of the new South Indian Or launch bold, new, experimentative products to encourage and invite experimentation from its consumers. 6. SOCIAL CHANGE - Here exists an opportunity for brands to direct that anger into something positive - to question, challenge and raise awareness about issues, both national and unique to the region. 7. (DON'T JUST SHOW), TELL ME WHY- South Indian pride in its intellectual superiority is still very much intact. Brands will therefore still need to offer clear pay-offs and give consumers valid reasons on why they should choose them. 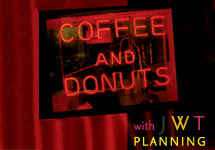 Complementing the consumer on his or her 'smart choice' is an old trick that will still appeal to consumers down South. 8. HUMBLE SPEAKING - Riches and fame must co-exist with humility. Brands should therefore stay away from overt displays of opulence, do more and talk less, and stay humble. This should also influence the tone and manner brands adopt in their communication. 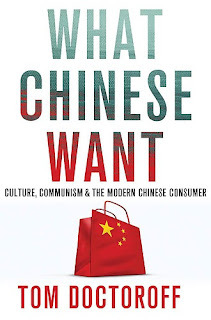 Review of 'What Chinese Want' by Tom Doctoroff. In this book, Tom Doctoroff, an advertising professional and long-time China watcher, presents a fascinating view from the intersection of China's culture and business. There’s the famous story of Gallaher, the global tobacco company, which tried to market its Silk Cut cigarettes to an ethnic Chinese market in the 1980s. The Chinese were baffled and horrified. What Gallaher hadn’t figured out was that in the glottally enunciated local dialect, the brand was pronounced “Si’ Kot”, which translates as “death by coughing”. Given the enormous importance of the Chinese market today, it is presumably a blunder that nobody would wish to repeat. What Chinese Want is an introduction to the China market, by Tom Doctoroff, an advertising professional and China watcher who has been working in that country for the past 15 years, positioned right at the intersection of culture and business. The book has been written mainly for the MNC manager, but it is essential reading for anybody who wants to understand what makes China tick. The Economist has, in fact, called it one of the two best books on this subject — the other is Michael J Silverstein’s The $10 Trillion Prize. The book looks at China as it has moved from Mao to McDonald’s, or, rather, from Ming to McDonald’s via Mao. It begins with a detailed introductory section on the Chinese world view. This sets the context for all that is to follow. Mr Doctoroff argues that Chinese society is characterised by a deep-rooted Confucian conflict between standing out and fitting in, between ambition and regimentation, between self-confidence and fear. These, and other age-old cultural traits – such as a fixation with rules, a sense of hierarchy, the precedence of society over the individual, profound discomfort with change, an almost pathological need for order, and intense national pride – are the underlying themes that help explain everything from the country’s social structure to the way it shops, does business and even engages with the world. China’s race towards modernisation and its infatuation with everything Western, Mr Doctoroff cautions us, do not indicate a trend towards Western-style individualism. On the contrary, family and society continue to dominate. The average Chinese defines success not in terms of self-actualisation, but on the basis of social recognition. The function of a brand, therefore, is to help you climb the social ladder; a brand is simply an investment in future advancement. Hence, baby foods must promise greater intelligence, not just happier babies; beers must promise opportunities for professional bonding, not just relaxation; cars must promise upward mobility, not just performance. The most successful marketers are those that have crafted their China strategies accordingly. De Beers, for example, has re-positioned itself to stand for not romantic love (as it does in other markets), but for a demonstration of commitment, resulting in social approval. Starbucks has re-positioned itself not as the customary “third space”, but as a projection of status, a place to be seen in. Thanks to this China has become Starbucks’ second biggest market after the US, and a cup of coffee in Chongqing today costs more than it does in Chicago. On the other hand, Nike, with its individualistic “Just Do It” stance, has been languishing. In the course of his thesis, Mr Doctoroff reminds us that Chinese society and culture are much more homogeneous than India’s (not necessarily less complex). I cannot, for example, envisage a similar book summarising “What Indians Want” in 258 pages. The greatest virtue according to Chinese culture, Mr Doctoroff tells us, is stability, and the greatest evil is chaos. The flip side of this is that a breakthrough of any kind is abhorred. Most Chinese firms, therefore, are conservative, hierarchical and uncomfortable with creativity — which is why the country’s business successes have all been won through aggressive pricing and business-to-business deal making, rather than the creation of any cutting-edge product or globally competitive brand. And that is perhaps why multinational brands are so preferred and command premium prices in the Chinese market, while local products are relegated to battling it out on an economy platform. Global cell phone brands like Nokia, for example, cost three times as much as local Chinese ones and yet they dominate the market. This one insight alone is worth the price of the book. What Chinese Want progressively zooms out, from society to business and, ultimately, to the way the country engages with the world. The Chinese may be obsessed by the US, Mr Doctoroff tells us, but they have no intention of trying to trump it; they merely want to learn from it and match its scale and ambition. China watchers may also be interested in Mr Doctoroff’s “10 Myths about China”, such as the myth that the internet will revolutionise China; that popular anger signifies a weakening of the Communist Party’s power; that the Chinese growth model is in danger; that China will become the great 21st-century superpower; and that China is militarily aggressive. All of these are indeed just myths, he insists. We need to understand, though, that he looks at China’s geopolitical issues from the American perspective. The view from India is likely to be different.